LOS ANGELES (JTA) – I am a rabbi and progressive faith leader in this city who has fought for racial and economic equality for almost two decades. I am also an unapologetic Zionist and a proud supporter of AIPAC. The public perception of AIPAC among my fellow progressives is that it is a white, Trump-supporting, right-wing organization for millionaire donors. 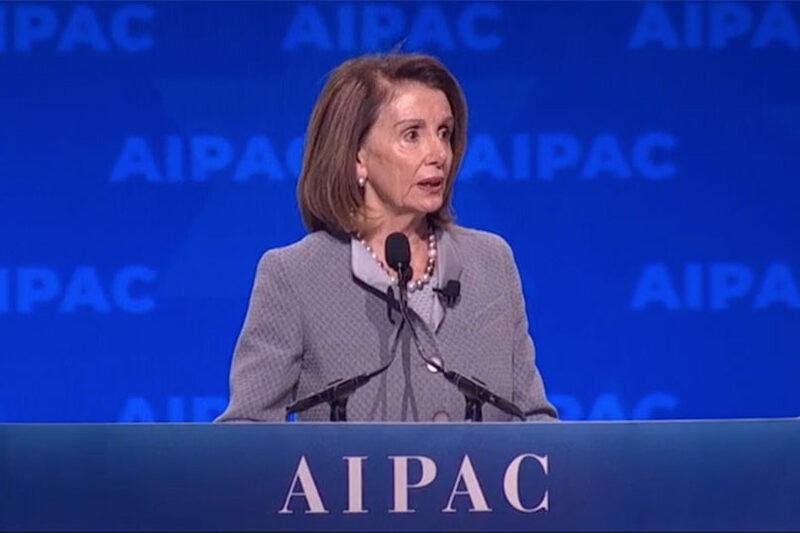 In this progressive imagination, AIPAC is a place where evangelical Christians join with their Jewish ideological counterparts to leverage undue influence over American politics. AIPAC welcomes anyone who wants to support a relationship between Israel and the United States. During the past two days at AIPAC’s annual policy conference, I spent time with hundreds of people from all walks of life and a diverse range of cultures. I watched the crowds give standing ovations to progressive politicians and grassroots activists alike. When it comes to Israel, many of my fellow progressives feel upset when I am open about being Zionist. For the past many years, there has been a litmus test in progressive movements around Israel. Unless one condemns Israel at every opportunity, or pushes for the boycott of Israel and Israelis around the world, Zionists are looked on as interlopers into the movement for collective liberation. At the Chicago Dyke March in 2017, Jewish activists were asked to leave because they were waving a rainbow flag bearing a Star of David. That same year, the Democratic Socialists of America passed a BDS resolution. There is the ongoing drama between the Jewish community and the Women’s March. Many progressive Jews feel they have to be anti-Zionist to be considered “good Jews” in progressive spaces. Of course, there are many times that the actions of the Israeli government should be condemned. When the sitting prime minister limits religious pluralism, is about to be indicted and has made bedfellows with right-wing extremists both at home and abroad, we must speak out against his actions – because of our Zionism, not in spite of it. In rabbinical school, I co-founded a training program for seminarians to teach them how to become progressive, grassroots community organizers. I was the president of my rabbinical school student body the year we fought for LGBTQ+ ordination. Since that time, I have stood in coalition with people of color and the marginalized in our society in almost every conceivable way. In all of my work, I have always held true to the most basic tenet of community organizing: Those who are the victims of oppression should lead the way of their own liberation. This is true for immigrants, for women, for people of color – and for Jews. When we talk about Zionism, we talk about the collective power of a community to push for its own liberation and self-determination. Rather than relying on others to feed us, Zionism is the desire to feed ourselves. Rather than relying on the supposed protection of others, Zionism asks that we protect ourselves. Zionism is the only Jewish ideology that calls for the ultimate manifestation of power – a nation state – for the sake of the global Jewish community. But it’s not enough just to support Zionism in theory. As a progressive rabbi and community organizer, I know that if we want to fight for our values, we must engage with power. While there are countless Jewish organizations that advocate for Zionism, only one manages to do so in a truly bipartisan way, despite the corrosive tribalism that has infected American politics. In 2016, when then-presidential candidate Donald Trump enraged many of us with an AIPAC speech containing a diatribe against President Obama, AIPAC’s president admonished him in a general session and issued a clear commitment to bipartisanship. When Prime Minister Benjamin Netanyahu attempted to mainstream the far-right Israeli party Jewish Power, or Otzma Yehudit, shocking the American Jewish community, AIPAC condemned the group. AIPAC invites every member of Congress and countless other elected officials to its annual policy conference, regardless of political affiliation. At this year’s conference, over half the members of Congress came to speak or spend time with the 18,000 attendees, including Democratic leaders Rep. Nancy Pelosi and Sen. Chuck Schumer. At times I live in tension with AIPAC, but I see that as a good thing. Tension is a natural part of public life. As I learned as an organizer, without friction, there is no electricity. As a rabbi, I have built a good working relationship with AIPAC staff. Every time I feel something is going the wrong way at a policy conference, like when a politician slams the other party, I’m quick to call AIPAC leaders and demand an explanation. In these accountability conversations, I have always been treated with respect and honesty. Through AIPAC and its affiliate American Israel Education Foundation, I have met with Arab Israelis, Palestinian businesspeople and the political elite. I have met with progressive Israeli organizations aggressively working to end the occupation. No AIPAC office has ever hidden the wrinkles of Israeli policy when I have asked. Power in democracies is derived from the collective political will of the people. It is only through shared interests and broad coalitions that great ideas can become hard-won realities. AIPAC understands that, and in many ways we need this kind of bipartisan, broad leadership more now than ever. Rabbi Noah Farkas is a rabbi at Valley Beth Shalom in Encino, California.